Army Reservist Staff Sgt. 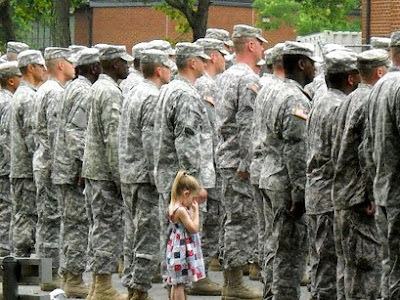 Brett Bennethum holds the hand of his daughter, four-year-old Paige before being deployed to Iraq. No one had the heart to pull her away. Sgt. Bennethum is expected home in July. May he and everyone else come home safely. Photo taken by Paige's mom, Abby Bennethum at Fort Dix.